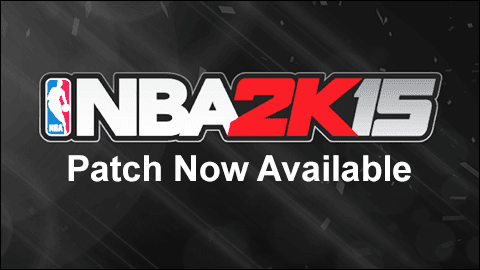 The anticipated update for NBA 2K15 is now available for PC users on Steam. The new patch fixes several crashes and bugs, and optimizes the game for better performance. It's getting a lot of positive feedback since it's release last night. According to some users, the update has made the game's home menu much responsive, and also gets rid of the micro-stuttering and lag. As for my own experience with the update, I noticed that the game is very smooth now, and no more frame rate issues whatsoever. I don't know if this will be the same for everyone, but for me at least it feels amazingly better. Under "%appdata%\2K Sports\NBA 2K15\" you'll find a file called VideoSettingsHelp.txt, containing instructions on how to mess around with the VideoSettings.cfg file if you're feeling adventurous. A set of new tweaking options was added to the file, and all settings, new and old, have descriptions in the help file along with the values and what each one does, as well as helpful recommendations based on your system. - It is recommended to choose a display resolution with the same aspect ratio as your monitor. - The resolutions allowed may vary depending on which monitor you select. 1920 x 1080 for systems with 2 GB or more of VRAM. 1280 x 720 for systems with less than 2 GB of VRAM. or the closest matching 16:9 resolution. 1920 x 1200 for systems with 2 GB or more of VRAM. 1280 x 800 for systems with less than 2 GB of VRAM. or the closest matching 16:10 resolution. - This game was designed for REFRESHRATE=60. - The refresh rates allowed may vary depending on which monitor you select. - For the best experience, please use REFRESHRATE=60, VSYNC=1 and BUFFERCOUNT=3. - Please use lower performance settings if 60 FPS cannot be maintained. - If 60 FPS still cannot be maintained, please use VSYNC=0 and BUFFERCOUNT=1. Number of queued display buffers. - VSYNC=0 - Do not synchronize to the REFRESHRATE. - VSYNC=1 - Synchronize frame rate to REFRESHRATE. - VSYNC=2 - Synchronize frame rate to half the REFRESHRATE. - VSYNC=3 or higher - Not recommended. - DYNAMIC_VSYNC=0 - Always use the specified VSYNC. Recommended for high-end graphics cards. - DYNAMIC_VSYNC=1 - Dynamically switch from VSYNC=1 to VSYNC=2 in non-interactive game cameras. Recommended for systems that run 60 FPS while playing the game, but cannot maintain 60 FPS in non-interactive parts. Aspect ratio control. This game was designed for 16:9 aspect ratio. - LETTERBOX=0 - Assume 16:9 aspect ratio. No aspect ratio correction will be applied. - LETTERBOX=1 - Maintain 16:9 aspect ratio. The remainder of the display will be black. Number of seconds of mouse idle time before the cursor is hidden. - WINDOWMODE=0 - Full-screen. Recommended for performance. - WINDOWMODE=2 - Full-screen Windowed. Recommended for responsive change of window focus (e.g. "Alt-Tab"). Position of window when WINDOWMODE=1. - A window positioned outside the valid region for any monitor will be placed in center of the selected monitor. Hardware accelerated multi-sample anti-aliasing level control. - MSAA=0 or 1 - No multi-sample anti-aliasing. Recommended for low-end graphics cards or systems with less than 1 GB of VRAM. - MSAA=2 - 2 levels of multi-sample anti-aliasing. - MSAA=4 - 4 levels of multi-sample anti-aliasing. Recommended for systems with 1 GB of VRAM or more. - MSAA=8 - 8 levels of multi-sample anti-aliasing. Recommended for high-end graphics cards with 3 GB of VRAM or more. Driver specific multi-sample anti-aliasing quality level setting. - The definition of a quality level is up to each hardware vendor to define. No facility is provided to us by Direct3D to help discover this information. Super-sample anti-aliasing levels. Can be combined with MSAA for higher anti-aliasing than provided in hardware. - SUPERSAMPLE=0 or 1 - No super-sample anti-aliasing. Recommended for systems with less than 4 GB of VRAM. - SUPERSAMPLE=2 - Render with double the WIDTH and HEIGHT resolution. Will take 4 times as much VRAM for render buffers! - SUPERSAMPLE=3 - Render with triple the WIDTH and HEIGHT resolution. Will take 9 times as much VRAM for render buffers! - SUPERSAMPLE=4 - Render with quadruple the WIDTH and HEIGHT resolution. Will take 16 times as much VRAM for render buffers! - SUPERSAMPLE=5 or higher - Not recommended. May cause driver crash and/or stalling. Which display monitor to use. Use MONITOR=0 for the main monitor. Maximum number of texture anisotropic sampling levels allowed. - MAXANISOTROPY=1 - Recommended for low-end graphics cards. - MAXANISOTROPY=16 - Recommended for high-end and mid-range graphics cards. Texture resolution detail level control. - Use of high or medium resolution textures may increase load time, and can cause large stalls when using a setting higher than recommended. - TEXTURELOD=0 - High resolution. Recommended for systems with 3 GB or more of VRAM. - TEXTURELOD=1 - Medium resolution. Recommended for systems with 2 GB or more of VRAM. - TEXTURELOD=2 - Low resolution. Recommended for systems with less than 2 GB of VRAM. Player mesh resolution detail level and cloth simulation control. - PLAYERLOD=0 - Cloth simulation enabled. Recommended for CPUs with 4 or more cores. - PLAYERLOD=0 - High resolution mesh detail. Recommended for high-end graphics cards. - PLAYERLOD=1 - Medium resolution mesh detail. Recommended for mid-range graphics cards. - PLAYERLOD=2 - Low resolution mesh detail. Recommended for low-end graphics cards. Crowd mesh resolution detail level. - CROWDLOD=0 - High resolution mesh detail. Recommended for high-end graphics cards. - CROWDLOD=1 - Medium resolution mesh detail. Recommended for mid-range graphics cards. - CROWDLOD=2 - Low resolution mesh detail. Recommended for low-end graphics cards. - CROWDLOD=3 - No crowd. - EFFECTLOD=0 - Disable special effects. Recommended for low-end graphics cards. Shader model 4.0 or higher is required. - EFFECTLOD=1 - Enable special effects. Recommended for high-end and mid-range graphics cards. Shader model 4.1 or higher is required. - SHADERLOD=0 - High detail shaders. Recommended for high-end and mid-range graphics cards. - SHADERLOD=1 - Low detail shaders. Recommended for low-end graphics cards. Process priority control. This can also be set in the windows task manager. - ABOVE_NORMAL_PRIORITY=0 - Normal priority. - ABOVE_NORMAL_PRIORITY=1 - Above normal priority. Recommended for all systems. - ABOVE_NORMAL_PRIORITY=2 - High priority. Control for internal D3D driver threading. - D3D_INTERNAL_THREADING_OPTIMIZATIONS=0 - Disallow multi-threaded graphics driver. - D3D_INTERNAL_THREADING_OPTIMIZATIONS=1 - Allow multi-threaded graphics driver. Recommended for all systems. - FAST_TEXTURE_FORMAT_CONVERSION=0 - Use CPU for texture transfer after block compression. Recommended for driver stability. May cause stuttering on loading screens. Shader model 4.0 or higher is required. - FAST_TEXTURE_FORMAT_CONVERSION=1 - Use GPU for texture transfer after block compression. This is known to cause driver crash on some older graphics cards. Shader model 4.1 or higher is required. Control for dynamic environment maps. - DYNAMIC_ENVIRONMENT_MAP=0 - Disable dynamic environment maps. Recommended for Intel integrated and older GPUs. Shader model 4.0 or higher is required. - DYNAMIC_ENVIRONMENT_MAP=1 - Enable dynamic environment maps. Recommended for newer AMD and NVIDIA GPUs. Shader model 4.1 or higher is required. Has been known to cause artifacts on older graphics cards. - JIT_SHADER_CREATE=0 - Create shaders on file load. May cause stuttering on loading screens. - JIT_SHADER_CREATE=1 - Create shaders on first draw. May improve load time at the cost of in-game stuttering. Which graphics adapter to use on systems with more than one graphics card. - Only graphics cards connected to a monitor are recognized. Small correction to VideoSettingsHelp.txt: The explanation for the EFFECTLOD setting is reversed. 0 is ON, 1 is OFF. If the game crashes, you should now see a CrashReport.txt file under the same folder, which should help 2K Sports to track down the issue. The size of the update is roughly 80 MB, and it will be downloaded and installed automatically if you have 'automatic game update' enabled on Steam. You must restart your Steam client to get the latest NBA 2K15 patch.